First-year wolf and Buffalo Sabres prospect, Ukko-Pekka Luukkonen led the way for the pack throughout October picking up two monthly awards while posting a 6-3-1-0 record with a 0.916 save percentage. The Sudbury Wolves are pleased to congratulate all five of our October Player of the Month award winners. The recipient of the TESC Hardest Working Forward of the Month for October is Macauley Carson. The Midhurst, ON product scored four times and assisted on three others to finish October with seven points. Carson also was a force in the defensive zone, doing all the right things to eliminate potential scoring chances when he was on the ice. 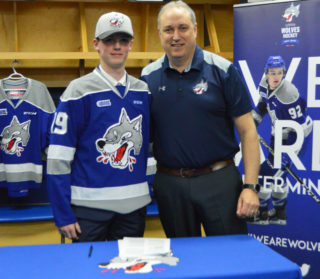 The Sudbury Wolves would like to congratulate Macauley on his hard work, determination, and leadership that he has brought to the rink every day throughout the season. Wolves second-year defenceman, Emmett Serensits is the TESC Hardest Working Defenceman of the Month for October. Emmett has had a consistently strong presence on the Wolves blueline this season while also chipping in offensively with five points to kick off his campaign. Fans should be excited to watch Emmett continue his strong play and development with the Wolves as the season progresses. 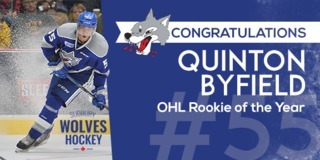 The Sudbury Wolves would like to congratulate Emmett on his great start to the season. Wolves goaltender, Ukko-Pekka Luukkonen began his first OHL season in Sudbury with high expectations and delivered. Luukkonen finished the month of October with a 6-3-1-0 record as well as 0.916 save percentage and a 2.6 goals against average. He was the OHL ‘On the Run’ Player of the Week for the regular season week ending October 7th posting a 3-0-0-0 record with a goals-against-average of 1.66 and save percentage of .952. On October 20th he picked up his first career OHL shutout with a 29 save performance in a 2-0 win against the Kingston Frontenacs. 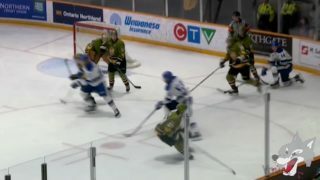 The Sudbury Wolves would like to acknowledge Ukko-Pekka for his outstanding performance and dedication this past month. Ukko-Pekka Luukkonen also won October’s Molson Canadian 3-Star player of the month. The Espoo, Finland native was named second star in the home opening 5-2 win over the Oshawa Generals on September 28th and followed that up with back to back first star performances in Wolves wins against the Barrie Colts and Niagara Ice Dogs on September 30th and October 4th. 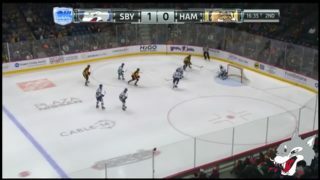 On October 20th Luukkonen picked up first star honours once again to go along with his first career OHL shutout with a 29 save performance in a 2-0 win against the Kingston Frontenacs. The Sudbury Wolves would like to recognize and congratulate Ukko-Pekka on his excellent play during the month of October. Sault Ste. Marie, ON native, Darian Pilon, has been named the Sudbury Wolves community player of the month for October. Pilon has been keeping busy when he is not at the rink, recently speaking at Lockerby Composite High School’s Cancer Drive as well as had previously spoken there for an event at the end of the Summer. Pilon has participated in Bowl with the Wolves and a number of community skates as well. The third-year forward is a veteran for the club and always looks out for his teammates both on and off the ice. Every day he brings a positive attitude and a competitive spirit with him to the rink and will look to continue to lead by example throughout the season. The Sudbury Wolves would like to recognize Darian for his contributions in the Greater Sudbury community and are pleased to have him as a member of our organization. The Reg Wilkinson Men’s Wear Scholastic Player of the Month for October is sophomore forward Nolan Hutcheson. The 18-year-old Kingston native is currently attending St. Charles College where he is taking university-level courses. He currently has a 90% average studying: Introduction to Kinesiology, Interdisciplinary studies in Leadership, and Mathematics of Data Management. 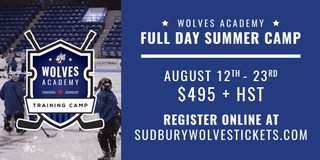 The Sudbury Wolves would like to congratulate Nolan on his strong performance on the ice and in the classroom. 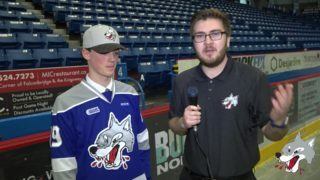 The Sudbury Wolves will begin Player of the Month presentations this Thursday when the Wolves host the Ottawa 67’s for the one and only time this season. Tickets are available at greatersudbury.ca/tickets. Thursday’s game is sponsored by the Real Canadian Superstore where one lucky fan will win 500,000 PC Optimum Points.